What should I do if I’m unable to activate my copy of TurboTax CD/download edition using Internet Activation? If you’re having trouble activating TurboTax using Internet Activation, try activating using Automated Telephone Activation. 1. 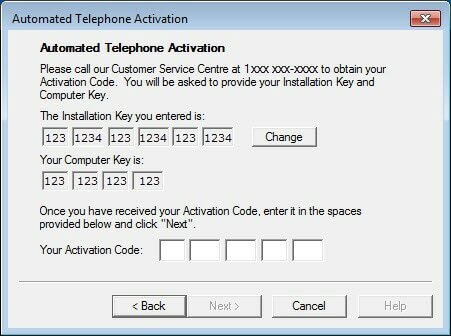 On the Choose Activation Method page, select Automated Telephone Activation, and then select Next. The Automated Telephone Activation page appears. 2. Call the number that appears on the Automated Telephone Activation page, and then follow the recorded voice prompts. Activation over the phone is available 24 hours a day, 7 days a week. It’s an automated process so you won’t need to speak to an agent. The process typically only takes a few minutes. What should I do if I’m unable to register TurboTax CD/download edition?